There are few plants that can give such an exotic display of colour in the autumn, but these bulbous perennials from South Africa are arguable some of the best. Of the 20 or so species within the genus (their classification is still ongoing) Nerine bowdenii has proven to be both the hardiest and most widely cultivated, however Nerine sarniensis, along with its cultivars and hybrids, is usually considered to be the more ornamental cousin. Nerines are usually available to purchase from quality plant retailers from September to approximately November, sometimes longer depending stock levels. 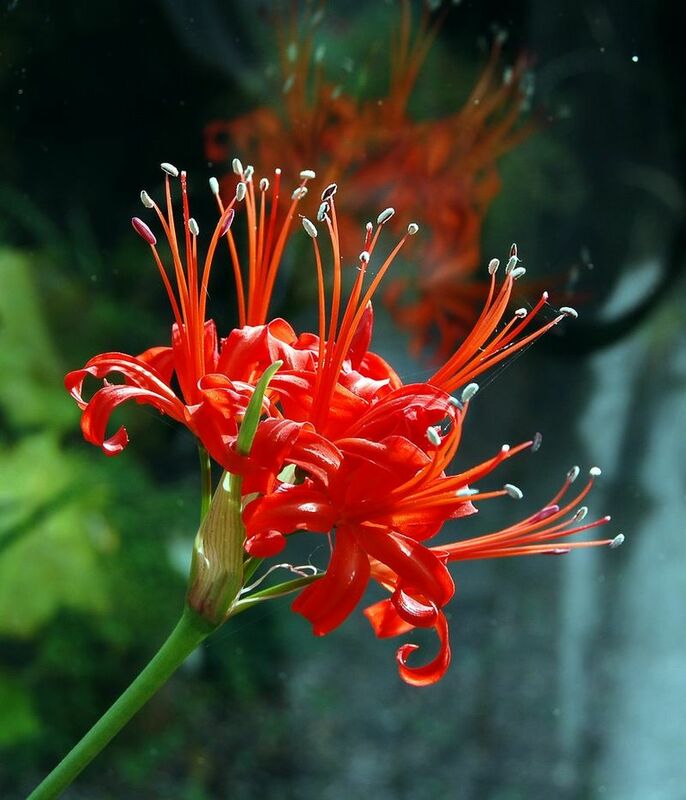 The trouble is that while forms of Nerine sarniensis are often available they can't be planted outside in the United Kingdom without rotting of due to the wet weather or simply dying of from the cold. The reality is that unless you are growing it in the mildest regions of the UK, as well as providing ideal conditions and a dry mulch over the winter, it will be always be best grown as a conservatory or greenhouse specimen. That being said, outside of being brought under protection for the winter and keeping it out of heavy rain over the typical British summer they can be planted outside during their flowering period albeit in a suitable pot. 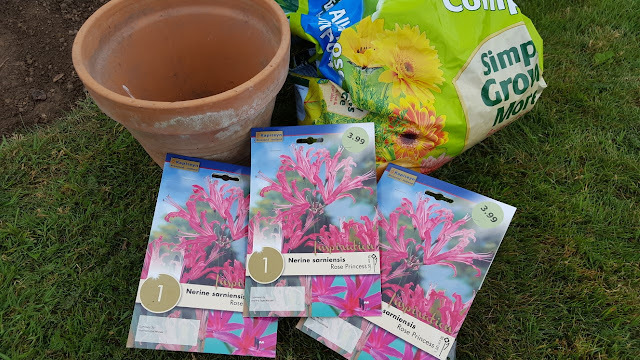 So how do you plant Nerine sarniensis bulbs? Using terracotta pots only due to their better drainage qualities and fill with a good quality, free-draining growing media made up of equal amounts of John Innes No.3, multipurpose compost and gritty sand. One bulb will be suitable for a 4 inch or 10cm pot. 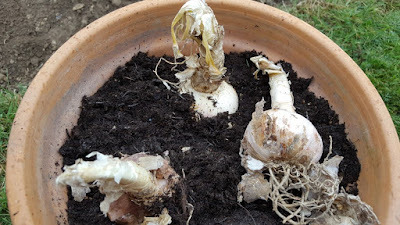 In larger containers space the bulbs close but not touching each other or the sides of the pot. 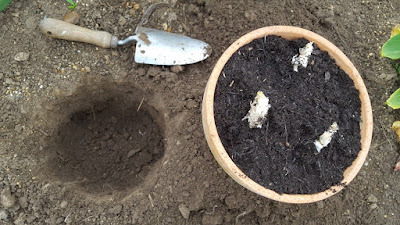 Unlike most other garden bulbs which are planted approximately 3-4 times the depth of the bulb, Nerine sarniensis bulbs will need to be planted with the neck of the bulb just exposed above the surface of the compost. Gently water in and then refrain from watering until the flower spike emerges. At this point you can sink the pot outside in a prominent border to gain the best effect fr0m it subsequent blooms. Watering can then be increased as the stem and, later on, the leaves develop over winter. However as soon as overnight temperatures drop to below 7 degrees Celsius they will need to be moved to the protection of a heated greenhouse or conservatory. From January to April the bulbs will require an application of a potassium-rich, liquid soluble fertiliser every two weeks. Tomato fertilisers are perfect for this. Once the foliage begins to turn Nerine sarniensis will enter its dormancy period. Place the pots out of the rain and stop the regular watering. Allow the compost to remain slightly dry over the summer period but do not allow them to become 'baked’ over the summer. You can repot Nerine sarniensis on a regular basis at the end of each summer.